Elizabeth Báthory is thought to be the biggest female-murderer in the mankind history. Many authors and historians believe she murdered at least 650 young girls. The legend says mentally disordererd Elizabeth used to have a bath in blood of young girls to rejuvenate her soul and body. 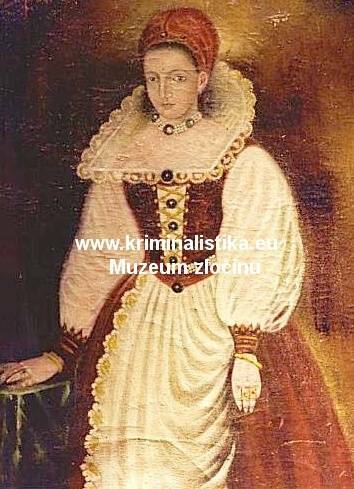 At the age of 15, "Lady of Čachtice" Elizabeth Báthory, born to an important Hungarian family, marries count Ference Nádasdy (1555-1604), an important, rich and mighty Hungarian personality. Elizabeth is a highly educated woman. She can fluently speak and write Hungarian, German and Latin. When married, Elizabeth gives birth to five babies (two of them die after the birth). Her husband dies in 1604 and Elizabeth decides to settle down in Čachtice, 6 km west by south of Nové Mesto nad Váhom. A manor and seventeen villages round Nitra lie within her castle. Both rich and prominent families could afford to celebrate the wedding for several weeks with 4,500 invited guests. The wedding took place in Vranov nad Toplou. Habsburg emperor Maxmilian itself was invited, but being ill, he could not arrive. Nevertheless, he sent expensive wedding presents. Supposed cruelties being committed by "Lady of Čachtice" are revealed by Juraj Thurzó, Attorney General and Hungary Protector, on December 29th, 1610. At sunset, Thurzó and his troops unexpectedly without warning bursts into the manor and, in tunnels filled with cadaverous stench, finds a young girl tortured to death. Two more women, fortunately still alive, are found in other tunnels. 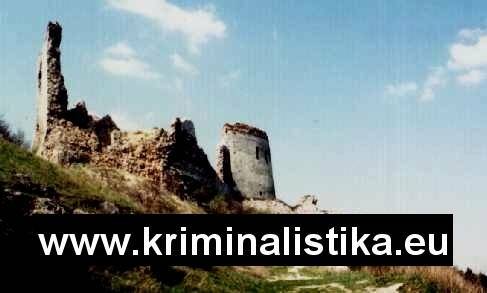 "Lady of Čachtice" is immediately imprisoned in her own dungeon and her servants John Ujáry, called Ficzko, Dorota Szentés, Ilona Ió a Katarina Benecký are taken to Byteč – the seat of Juraj Thurzó. The credibility of some hearsay evidence seems to be a big problem – lots of people only heard about the torture and atrocity committed by Elizabeth. Zuza, one of witnesses says that a Jacob Szilvási says he found a list of 610 female names in Elizabeth's coffer and that it was "Lady of Čachtice" who had put those names on the list. It could also be a list of retainers who did not or could not perform their duties properly. The evangelic preacher Ponický from Čachtice accuses Elizabeth of cannibalism. But his statement cannot be proved. He also claims that "Lady of Čachtice", turned into a cat, used to haunt other people. Taking into account hearing of the accused and thirteen witnesses, the trial jury and judges lead by Teodor Sirmiensis from Súľovo, the Supreme Royal Judge, together with Juraj Thurzó come to the conclusion that 37 - 80 young girls were tortured in the castle. And thus Ilona Ió and Dorota Szentés are to be burnt at the stake. Before burning, all their fingers and toes will be wrenched off… John Ujáry alias Ficzko will have his head cut off and after that, his body will be burnt at the stake together with the two women. His fingers and toes will not be wrenched off. The sentences will be executed in no time. Katarina Benecký was set free for lack of evidence. 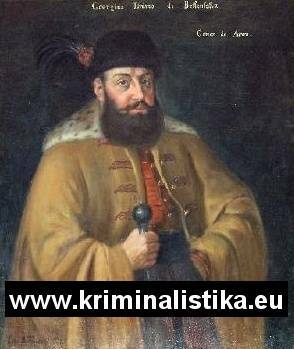 Fourteen days later (on January 24th, 1611), Eržika Major from Myjava is burnt at the stake too. Without a trial. It is enough that she is said to be in league with the devil. (She was a herbwoman and was said to be able to heal even burn scars.) John Ujváry claims she is the most cruel of person all the accused. Elizabeth Báthory is not mentioned in the sentence. She is bricked up in one of the rooms of the Čachtice Castle and dies on August 28th, 1614, at the age of 54. She was buried in the Čachtice church. Some people believed she was poisoned. Elizabeth Báthory - "Lady of Čachtice"
Lots of historians, especially from Hungary, put "Lady of Čachtice" in the clear saying the trial itself was fabricated and politicized. Elizabeth's uncle Stephen Báthory was the King of Poland and a successful army-leader fighting Russians in 1575 -1586. Except him, there was Elizabeth's nephew, a young and ambitious Prince Gabriel Báthory, being at the head of Transylvania when Elizabeth was arrested. Thurzó is said to try to "dethrone" him and to get hold of Elizabeth's possession. The then-law allows to confiscate one's possession when it is proved that one attempted to assassinate the king. At least seven nobelmen are necessary to confirm that... And Elizabeth makes obvious that she knows that and that she considers the affair to be a conspiracy arranged by Thurzó - her husband ex-comrade-in-arms. Not only Elizabeth Báthory herself is criminalized. So is her portrait (right). Oil painting sized 93 x 77 cm was stolem from September 22nd to 23rd, 1991 from the Čachtice Museum to its owner, the Bojnice Chateau, disadvantage. It is interesting, but not proved that the tortured girl Thurzó found in the castle was an exhumed body of a girl, who had died three months before Thurzó and his troops bursts into the manor. This explains the cadaverous stench in the tunnels. It seems to be strange that the two tortured but saved girls never gave evidence on trial. It is worth mentioning that Elizabeth Báthory did not treat her retainers well. She was said to be a rather cruel person and it is possible that she herself was involved in death of some of her retainers. People hated her. When leaving her castle, she was always accompanied by a guard armed to the hilt. Cruelty, especially to the retainers, was usual at that time… Her habit of having a bath in blood of murdered young girls has never been proved. A legend goes when torturing, Elizabeth used the dead-eye, but nobody has proved that either. Neither Thurzó nor his troops found such a tortural. What is more, the dead-eye legend occured a hundred years later. The most often disccused question in this case is the real number of Elizabeth's victims. The only, but not very reliable, source are people accused of atrocity and murder. The people Thurzó blamed on. And the trial did their best to convict those people of those crimes. To convict them using one-sided and purpose-built questions. The accused "worked" together but each of them spoke about a completely different number of their victims. According to the historians taking Elizabeth's side, the final number of victims is just a total sum of all the names mentioned during the trial and neither trial jury nor judges took into account that some of the names were repeated several times. The trial jury and the judges say: the total number of murdered people is 37 - 80. There is no doubt this number is much larger than the real number of her victims. The real number that was, in a bit strange way, proved. In 1961, a group of crooks decided to profit from the story of "the blood-thirsty lady". Under the pretence of shooting a film all the Čachtice inhabitants would act in, they were eating and drinking at the expence of the good-natured inhabitants. People wanted to become actors, cost it what it may. A man playing the part of Ficzko had his two sound front teeth pulled out to look more like the real Ficzko. Women and girls playing the parts of the tortured girls were made to drink and sit up till late night (together with the director!) to have shadows under their eyes and pale face and thus look naturally. During those sessions, the director was making fuss very often regardless of his health... Eventually, a single teacher, teaching in a local school, was chosen to play the part of Elizabeth Báthory. The director and the camera operator only pretended shooting their film and were arrested right when shooting some all but naturalistic shots... Some practical jokers, usually artists from Bratislava, developed the story and what is more, they have made up completely new suggestive stories laughing at the Čachtice inhabitants and their artlessness. © Miloslav Jedlička, D. C. L.
Translated by inspector WO Pavel Vršovský, M. A.